Steve has one huge regret from childhood... that he never became an Eagle Scout. He was active in Cub Scouts and then Boy Scouts and made it all the way to Life (the rank before Eagle) before dropping out. Despite his deep regret, there's nothing he can do about it now, as you can't earn Eagle as an adult. 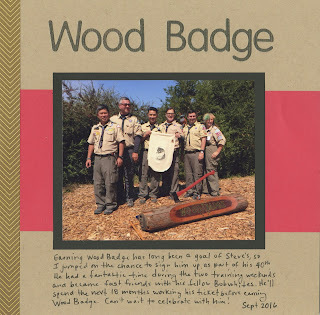 You can, however, complete Wood Badge. So I signed him up for the training as part of my 40-4-Steve project. Wood Badge starts with two weekends of intense training. Steve's took place at Camp Herms. He absolutely loved the experience. Here he is (2nd from the right) with the rest of the people in his patrol. Each patrol is given an animal name. Steve is part of the Bobwhite Patrol. After completing his trainings, he asked me to make a thank-you card for his mentor. I drew and colored a bobwhite (after looking up what exactly a bobwhite looks like) and added the Wood Badge log and hatchet. 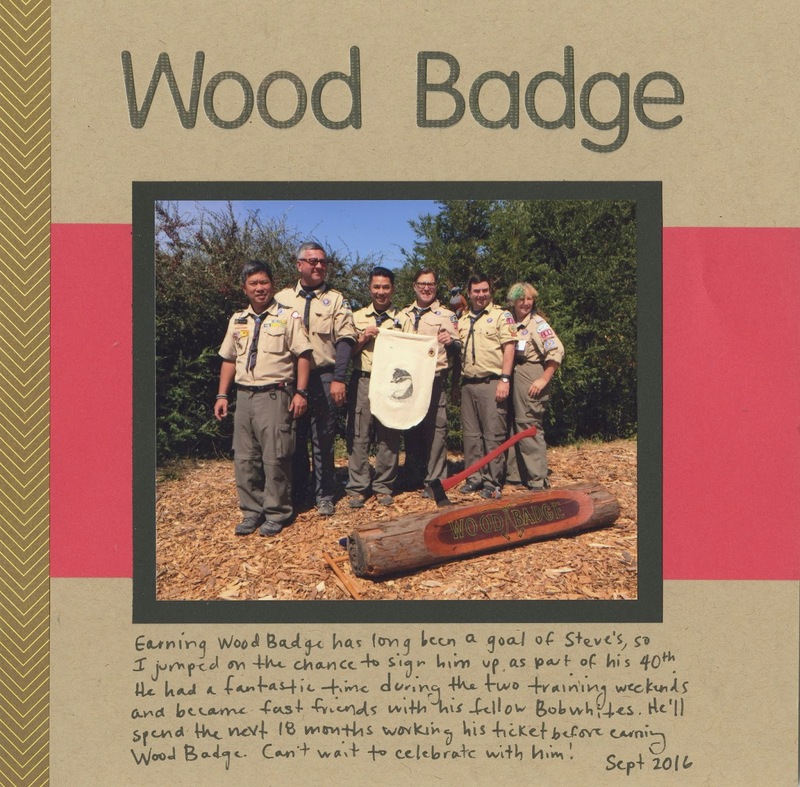 I stamped a sentiment, then added stickers representing Steve's Wood Badge course number. The weekend trainings are just the start of Wood Badge. The real work comes over the next 18 months as participants set and achieve goals related to different areas of Scouting. Each goal is called a 'ticket' and the process of completing them is called 'working your ticket.' That's where Steve is right now. Keep up the hard work, Steve. We're proud of you! What a great experience!! 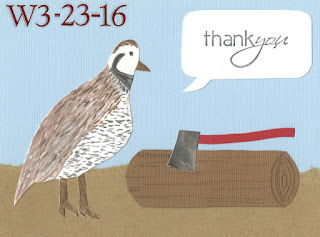 LOVING the page you made and that card is AMAZING!!!!!!!!!!!!!!!!!!!!!!!!!!!! !